Thread: What the heck is this old bike? Hmmmm... Yeah, I'd say it's a safe bet that isn't any Specialized. 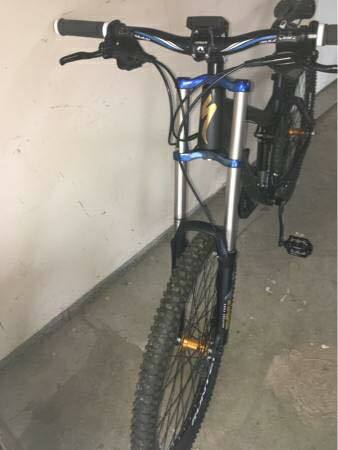 It sort of resembles 08-09 Stumpjumpers or Enduros but the rocker linkage is wrong for sure and the later bikes have the shock under the top tube. I'd steer clear. What's he asking for it? I'm was kidding about buying it. It's just bugging me what the heck this thing is. The top tube looks legit hydroformed, but the chainstays and main pivot look like something off a walmart bike. And I don't know what to make of that fork. 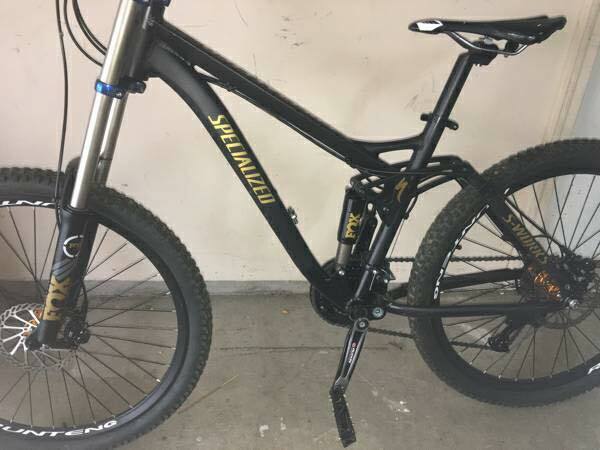 Looks like a 2011 Specialized Pitch Pro. I don't remember that color thought. Thanks, I hadn't heard of that bike. The google images look like a different linkage though. The chainstay and the rockers look different as well as the bridge from the top tube to seat tube. That's probably not a real Pitch. I'm betting on a Mongoose XR Pro 29. Frame and rear triangle bottom pivot look the same but the upper linkage looks a little different. 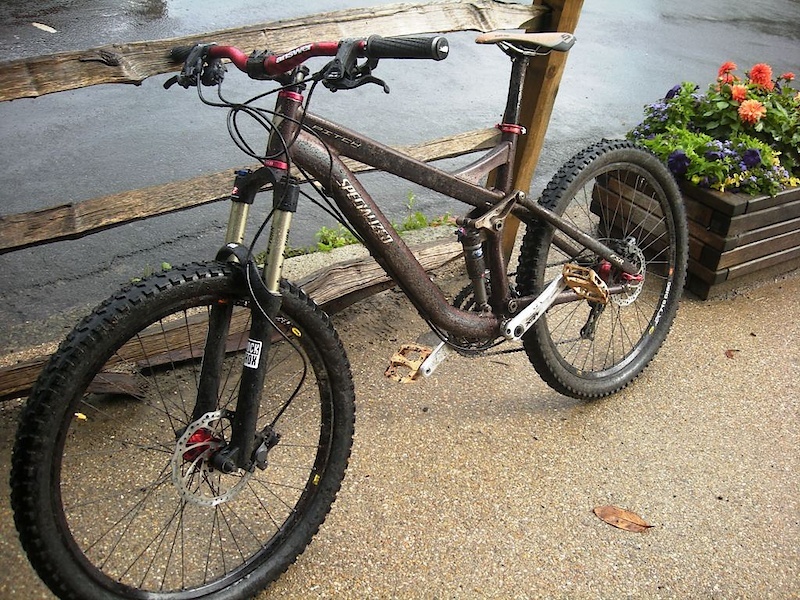 The Mongoose would most likely have a straight head tube, not tapered. Its hard to tell from those pics. That ain't a specialized and that ain't a fox. It's someone's attempt to deceive. What the heck are these shifters that came on my bike? Bike Swap Mystery Fork-What the heck is it? 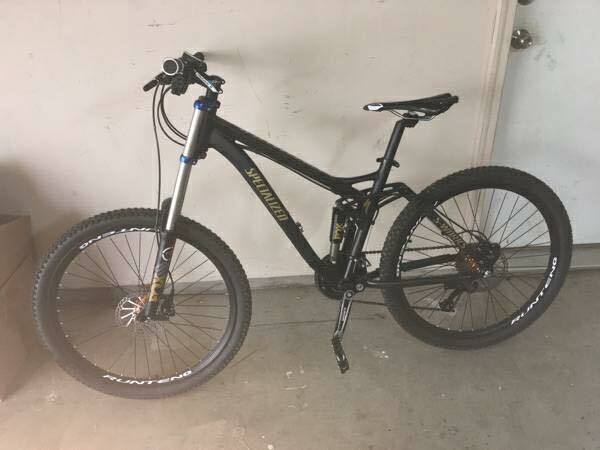 What should I do with this bike (other than ride the heck out of it)? "Every time I ride _ bike, I am reminded why the heck I love biking!"